Rebecca Makkai was a published writer of short stories before she was a published novelist, but she will discourage you from thinking that one graduates from one to the other. “Nothing is easier because it is shorter,” Makkai said. The chief difference is the size of the investment. And there is this: Novels are hard to sustain. Writers may start and finish strong, but novels tend to sag in the middle — usually, if not reliably Makkai has found — at about pages 30 and 100. The antidote is architecture. Makkai said she is most helpful to students at Northwestern University and StoryStudio Chicago, where she is the artistic director, when she teaches them how to assemble studs and trusses to hang words on. That is among the lessons she will bring to Seaside in May as a visiting writer participating in the Longleaf Writers Conference. The Great Believers, sustained by compelling, credible dialog, by love and tragedy and by masterful scene setting, is a book well put together. Believers divides its time between 1980s Chicago and Paris, some 30 years later. It explores the blossoming of the AIDS crisis and its impacts on promiscuity, spontaneity, certainty and fun. Among Makkai’s characters, several become casualties. Indeed, the novel is advanced by themes including the fleetingness of most everything, the seeming inevitability of disruption and the chrono-stress that results from the always quickening passage of time. Yale, a gallery curator, must hurry to finalize a gift of artwork worth millions from an elderly and fragile donor. Fiona travels to Paris in an effort to find and reconnect with her daughter before she must return to Chicago. And, those who contract AIDS, withering and vomiting, engage in grim days-left calculations. Is optimism ever anything but delusional? “Naïve people haven’t been through real trials yet, so they think it could never happen to them,” says Cecily, who is among Yale’s colleagues. Says Richard, “All belief is a trick.” A show of his work is set to open in Paris when the city is thrown into chaos by a bombing at a rock concert. We are left to recognize that the world is a beautiful — and terrible — place. Makkai’s prose, her phrasing, her similes are so precise as to cause a reader to pause in admiration. Yale is devastated when he learns he has been infected by a partner with whom he believed he had a monogamous relationship. Such writing flourishes leave the writer looking for and forward to the next one. The daughter of linguistics professors, she studied writing and literature seriously while in high school, college and graduate school. As an instructor, she enjoys especially the “Novel in a Year” course she teaches at StoryStudio, where she has been a member of the faculty for seven years. A few years ago, Makkai was lecturing in Denver to an audience that included Seth Brady Tucker, a co-director of the Longleaf Writers Conference. Brady was in “scouting mode” and invited Makkai to lead a workshop at his gathering. “I had a complete blast, and we have been talking since then about me coming back. This is the year,” Makkai said. People who ask writers about their creative processes have in mind a “romantic picture of a writer in a cabin,” Makkai said. Makkai said she was concerned that writing about AIDS as an outsider would result in pushback, but she received much less than she feared. Also on the nightstand: a biography of the poet and playwright Edna St. Vincent Millay and a novel based on the life, legacy and descendants of lamp maker Louis Tiffany — Lisa Gornick’s The Peacock Feast. Makkai is writing short stories and is at work on her next novel. 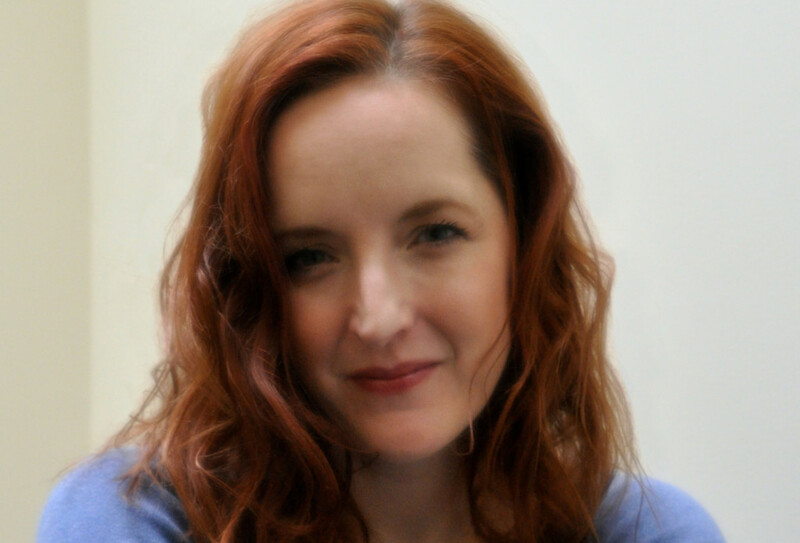 Rebecca Makkai returns to the Longleaf Writers Conference, May 11-18, as a visiting writer.